Another National Poetry Month begins! For any of our readers in the East Bay, I recommend two readings this week. Tonight, April 1 at 7:00, Katherine Hastings, Sonoma County poet laureate, and I will be featured readers at Frank Bette Center for the Arts, 1601 Paru St., Alameda. Open reading will follow features. Then on Thursday, April 2 at 7:30, three Sixteen Rivers poets, Stella Beratlis, Lisa Robertson, and Helen Wickes, will read from their newest poetry collections at Mrs. Dalloway’s Bookstore, 2904 College Avenue, Berkeley. Closer to home, on Sunday, April 12, 2:00-4:00, The Sitting Room in Cotati hosts “In Translation: A Global Reading” exploring the rich poetic traditions of Europe, South America and the Middle East. And on Monday, April 13, 6:00 p.m. BARDS (Bay Area Readers Drama Society) reads Aristophanes’ Lysistrata at Aqus Cafe, 189 H Street, Petaluma. Find out more about these and many more readings, writing workshops, and forums on the calendar page. This month, I’ll be traveling to Minneapolis for the Associated Writers and Writing Program’s annual conference. Hope to see some of my fellow Sonoma County Writers there. Keynote speaker is novelist Karen Russell, and featured presenters include Ted Kooser, Carolyn Forsche, Ron Carlson, Louise Erdrich, Tony Hoagland, and Francine Prose. If you’re coming to this gathering of the tribes, stop by the Sixteen Rivers table in the Book Fair and say hello! 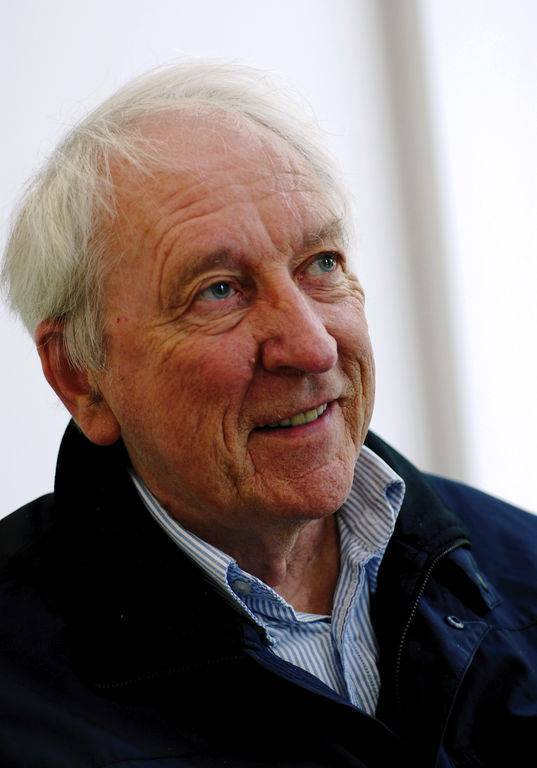 We launch our National Poetry Month with a tribute to two extraordinary poets, one who passed away in the past week: Tomas Tranströmer, Swedish Nobel Laureate, psychologist, pianist, entymologist, and curator of an extraordinary imagination. Following a stroke more than two decades ago, he lost his ability to speak and could play the piano with only one hand, but he continued to produce poems of remarkable sensitivity. He was 83 when he died on March 26. Frances Mayes handed me a few of his poems in her prose poem workshop at San Francisco State back in 1982, saying she thought I’d find him a kindred spirit. Those poems changed my life. Not long after that, I had the chance to hear him read on one of his visits to San Francisco. I shamelessly imitated him, taught his poems whenever I could, and also used his poetry in the original Swedish as the source of many mistranslations over the years. What was it about his poems that moved me so? Hard to say. They are quirky and disorienting, but always deeply human. He wrote both lyric and prose poems, and all are imbued with what Robert Bly referred to as “dragon smoke”: the ability of certain poets to move back and forth between the conscious and the unconscious like a lighthouse beacon. If you don’t know his work, lucky you! You’re about to discover a great artist. A good place to start is this website: http://tomastranstromer.net/poetry/poetry-3/. I recommend the short nine-minute film on his life and work you’ll find there, as well as the ten English translations of his poems. My favorite collection of his work is The Half-Finished Heaven, translated by Robert Bly. I will include a poem from this collection at the end of the post. 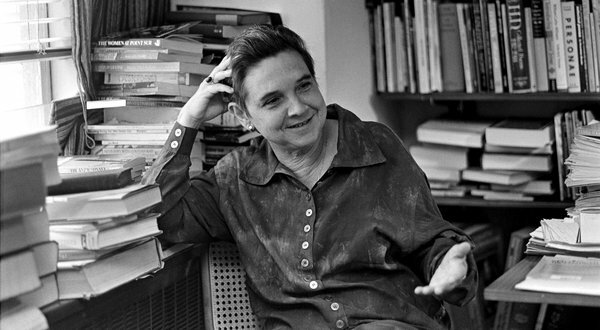 I first encountered her poetry in 1981 at a writing conference at Stanford. I was reading an excerpt from Diving into the Wreck, which made me wonder what lay below the surface of my own life, and would I ever have the poetic skill to make that descent, as she had. Her poem, “Aunt Jennifer’s Tigers,” caught my eye when I was buying broadsides in a bookshop in Hay–on-Wye (a book lover’s dream town! ), and I bought it as a gift to the Sitting Room, where it hangs. It is included at the close of this post.